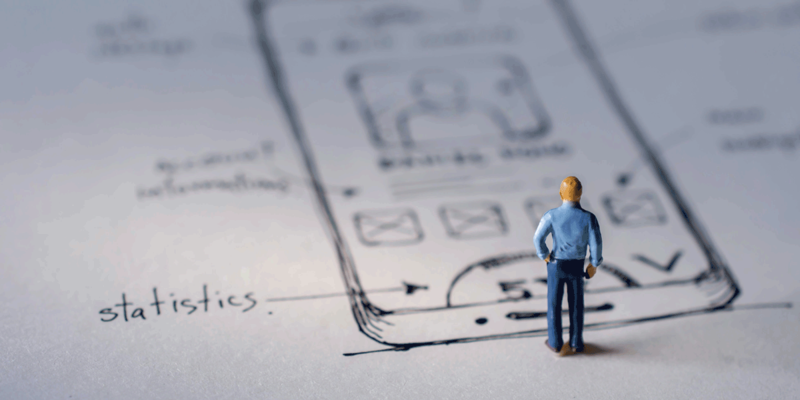 What Qualifications Do You Need To Be A UX Designer? UX designer is a pretty hot job title right now, and one which is set to become even more popular. CNN ranked it fourteenth in their top 100 jobs list, stating that the number of UX design positions is likely to rise by 18% over the next ten years. It came seventh in Forbes list of top 20 jobs for work-life balance and a recent study by the Nielsen Norman Group found that UX designers love their work! Respondents rated their career satisfaction as 5.4 on a scale of 1-7. It’s no surprise many people are wondering how to get into UX design. As a discipline which is still in it infancy, there is no clear consensus on which qualifications are required to work in the field. Before I looked into a career in UX design, I assumed that anyone with the word ‘designer’ in their job title must have a degree from an art school. However, that is simply not the case. I’d argue that very few UX designers studied UX at university. We come from a wide range of different backgrounds, from psychology and marketing to project management and finance. I escaped the hospitality industry and moved into a career in tech after getting fed up of the unsociable hours and low pay. So, do you need a UX degree to work as a UX designer? Read on to find out! Do you need a UX design certification? The short answer is no, and many employers won’t want to see your certificate - it’s more about proving you have the skills. Also, there are plenty of people out there who have fallen into UX through other career paths, and as such they were never formally trained in it! If you are a really determined, you could teach yourself UX design by reading blogs, books, or learning on the job. It really depends how much relevant experience you have and whether you would be able to demonstrate your ability in an interview without having a qualification to back you up. There are also various free ways to study UX, as well as paid online courses such as Pluralsight. However, if you are the average person prone to procrastination (like me), you will be likely to benefit from a course with a structured learning environment, where you have an allotted amount of time to complete it and, importantly, regular contact with a mentor or tutor. Having a mentor doesn’t only afford you the insights and expertise of a seasoned professional – it also helps keep you motivated and accountable in those inevitable moments when you question or doubt yourself and the decision to become a UX designer. In terms of which structured course to take, again, there are lots of different options. General Assembly is probably the most famous. Providers such as Akendi offer classroom-based week-long short courses - although it is pretty tricky to learn everything there is to know about UX in one week. Then, of course, there’s CareerFoundry, which gives you the best of both worlds – you have the convenience of studying at home as well as the frequent catch-up Skype calls with a mentor. The skills needed for UX are really varied. Most people are surprised that user experience design is less about being a stereotypically creative type and much more about soft skills. Obviously you need to be comfortable sketching and wireframing (although I was terrible at this when I started), but it is more important to have skills like empathy, enthusiasm, time management, and the ability to negotiate. A strong awareness of how businesses work is critical too, especially being able to ask the right questions to elicit answers around what the client is trying to achieve. But the most important character trait of all is a keen interest in problem solving. CareerFoundry was created in order to solve a problem that the founder, Raffaela Rein, had experienced. She wanted to move out of banking and into tech but couldn’t find a course which suited her needs. UX guru Sarah Doody also recommends looking for problems in your everyday life to help hone your problem solving skills. So, how will studying for a UX design qualification help you? Learning basic UX theory and processes so you have a solid foundation of UX knowledge without having to search for the information yourself. You don’t know what you don’t know - so it is good that the content has been handpicked by people who have years of UX experience and a good understanding of what you need to know as a UX beginner. It will give you a great network of people to surround yourself with – your mentor, tutor and other people on your course, for example. I’m still in contact with Sophie, my mentor from CareerFoundry, who has been fantastic at introducing me to other people in the UX industry. She put me in touch with her old boss when I moved to New Zealand and also keeps me informed on interesting UX reading. CareerFoundry also have a Slack channel which all students are added to – this is a great way of finding out about jobs and bouncing ideas off each other. Building a portfolio – most courses ask students to choose a UX project and help you build a portfolio as you learn. Portfolios are a requirement for a lot of job interviews, so this is a great way of being able to spend time perfecting your portfolio and also get expert advice on it. It will help you get your first interview if you don’t have any prior UX job experience. People will be looking to at your CV and if you don’t have at least a couple of years experience working as a UX designer, they will be probably want to know you have completed a related course. Once you have a couple of years UX experience under your belt, you’ll find people aren’t really concerned about your qualification anymore and are much more interested in your work experience. What will a UX degree not help with? The one main thing that a UX design qualification won’t help you with is feeling like you know it all. You won’t wake up the day after completing the course and suddenly feel like you know everything – a UX designer will never know everything! 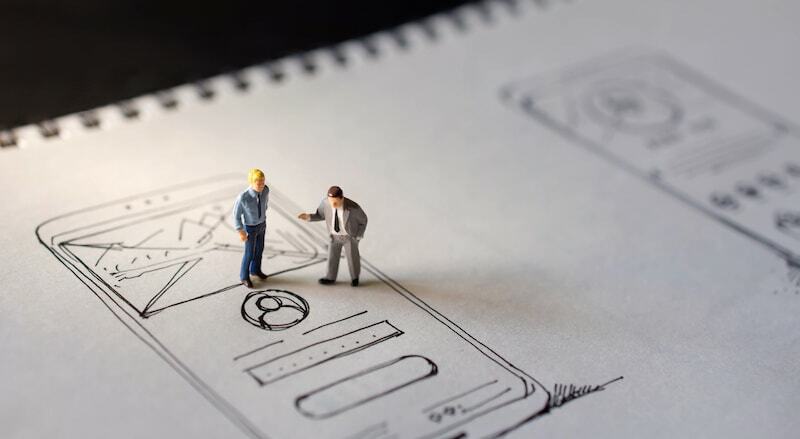 The role of a UX designer is constantly evolving, and it is down to you keep up to date with new technologies and trends, and continuously study UX advances. Think of the qualification as the starting point of an exciting journey of UX discovery and as you get more experienced, you will become more and more confident. A lot of your skill will come with experience, but that’s not to say you can’t speed up the process by learning from the experience of others. If you want to know more about what it means in practice to be a UX designer, check out my blog post on what a UX designer actually does. How can you find out if you have the right skills and would enjoy UX design? It’s a common theme in UX design, but before making any decisions, do your research! This will help you to decide if it is definitely the career for you. Join CareerFoundry’s free seven-day email short course: get a handy introduction to UX and a flavor of what the six month UX course is like. Get reading: there is a wealth of knowledge on career change and UX on the CareerFoundry blog. Check out social media: Twitter and Medium are both great for finding the latest UX articles and UX experts such as Nick Babich and Sarah Doody have great weekly newsletters with handpicked articles. Sarah’s newsletters also have handy trigger questions to help you start thinking like a UX designer. Speak to people in the industry and go to networking events. Check out this blog post on networking in UX design for more tips. To conclude, UX design is an exciting and rewarding career path and a formal qualification can be a great way of starting you on that journey - what do you think? Are you debating studying to be a UX designer? Say hello in the comments below or join our UX community on Facebook! If you’re starting out, have a look at the free short course I mentioned just above!